Calving season is in full swing here, we are about 75% done, and have 300 ish calves on the ground. I've got a ton of photos, and for anyone who would like, I think that you can click this link to my FB album. Here are a few of my favorite photos that I have taken so far. 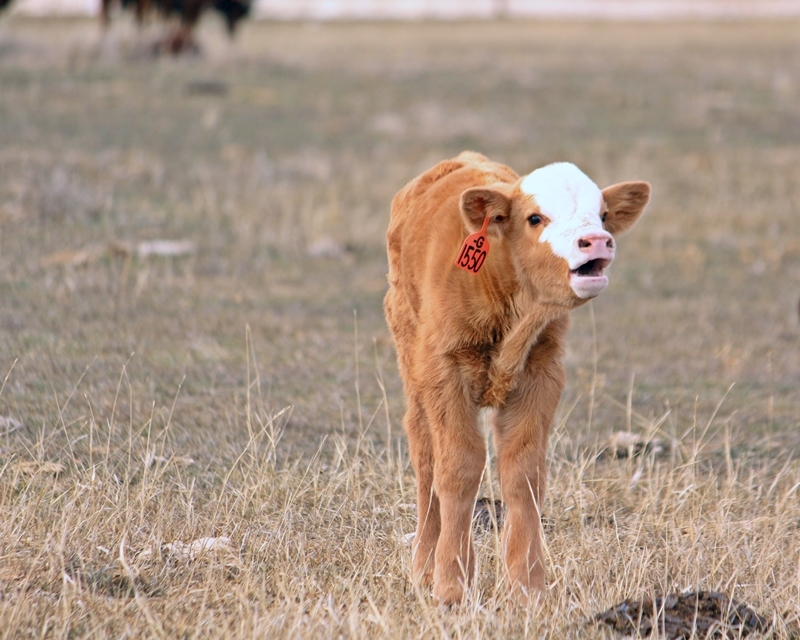 The one of the calf bawling is frame worth. That 2nd one down is hard to beat Randi. I agree. Does that not hurt the price on sale day up there? We have Presort Sales up here...So no...the different colours don't really matter too much. Spots and roans will get docked, unless they are Tan/grey, the buyers don't really care then. Big calves 600 lbs and up, don't get hit too hard either. Those are pretty much all the really coloured calves we have. Most are solid coloured, or with a white or brf. We run red and black cows, so have to breed a few that way for replacement heifers. So we run about 100 cows with Red Angus and (solid red) Shorthorn bulls, for the first cycle. The Shorthorn, is where the spots come from, like that calf in the second photo. Any roans trace back to cows we've bought. We run all the rest of the cows with Charolais bulls, and swap the Red bulls with Char for the second cycle. The replacements are bred Red Angus too. So we end up with about 70 Red/black steers, maybe 10 red/black heifers that don't make the cut. And the rest are about 75% tan and 25% grey. That's what we have presort sales for... All the red and black calves are graded. steer calves will be sorted into two one (sometimes two) owner pens. With the few really big, or small ones bring graded off. Same with the tan heifers. Pretty darn cute babes Randi. Thanks for the pics. Gonna bet the ole blue roan girl in the last pic has a history of raising whoppers but likely on borrowed time udder wise. Thanks, Yes, she raises some whoppers, and she's on borrowed time. Same with her mother who is 11 this year. Mom is done this year, her udder was always pretty poor, but she lasted a LOT longer than I thought she would. So far we haven't had to touch either one of them, which is why they are still here. I'm hoping for a few more years out of her, but we will see. Thanks, My favourite is the black brf calf laying down. She has some sass! But where's the snow? Has it melted already? All great photos. 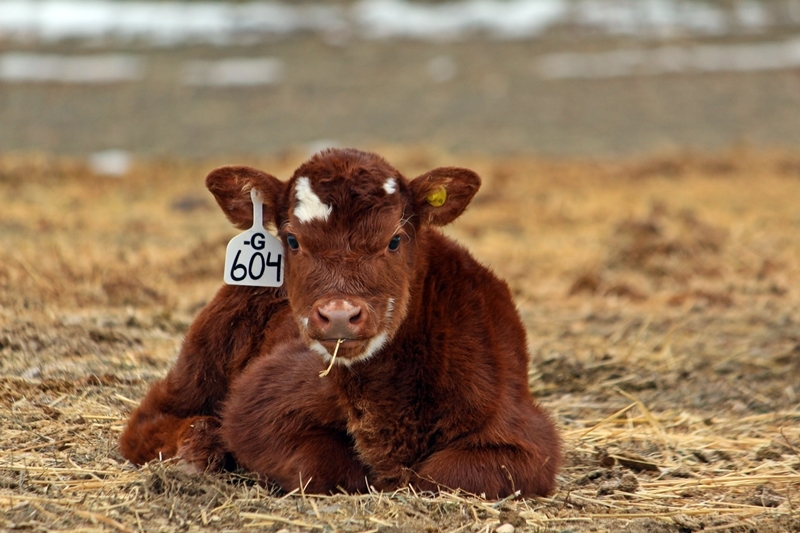 I love seeing calf pics, and the color adds a little variety as well.